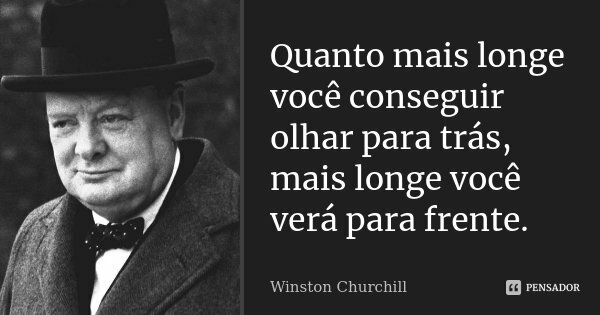 Quanto mais longe você conseguir olhar para trás, mais longe você verá para frente. Winston Churchill CHURCHILL, W., Churchill by Himself, ed. Langworth, PublicAffairs, 2008. Nota: Tradução adaptada de "The longer you can look back, the farther you can look forward".